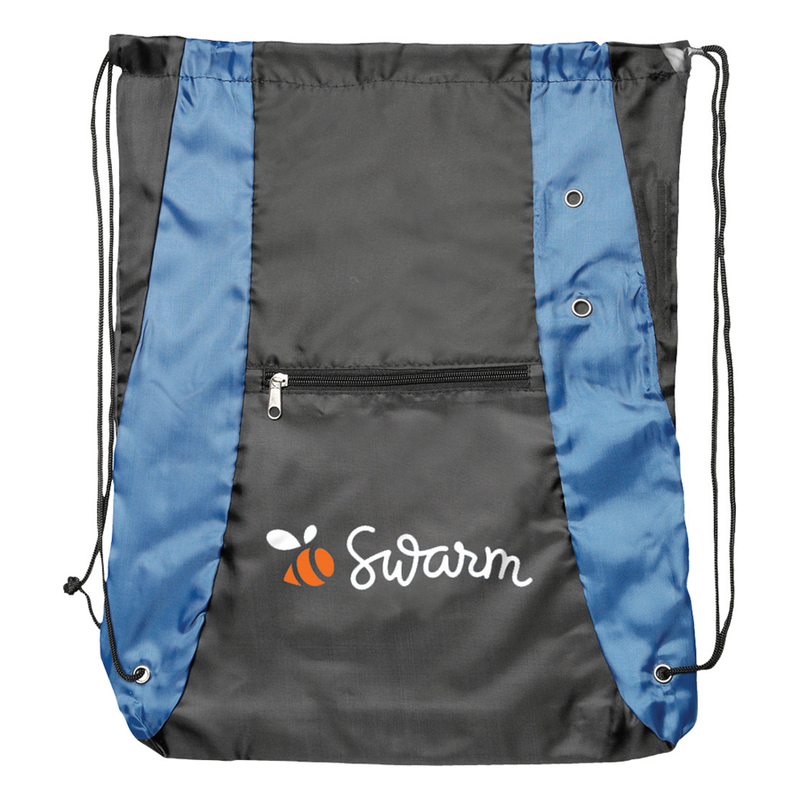 A 210D backsack with zippered pocket that features your logo. 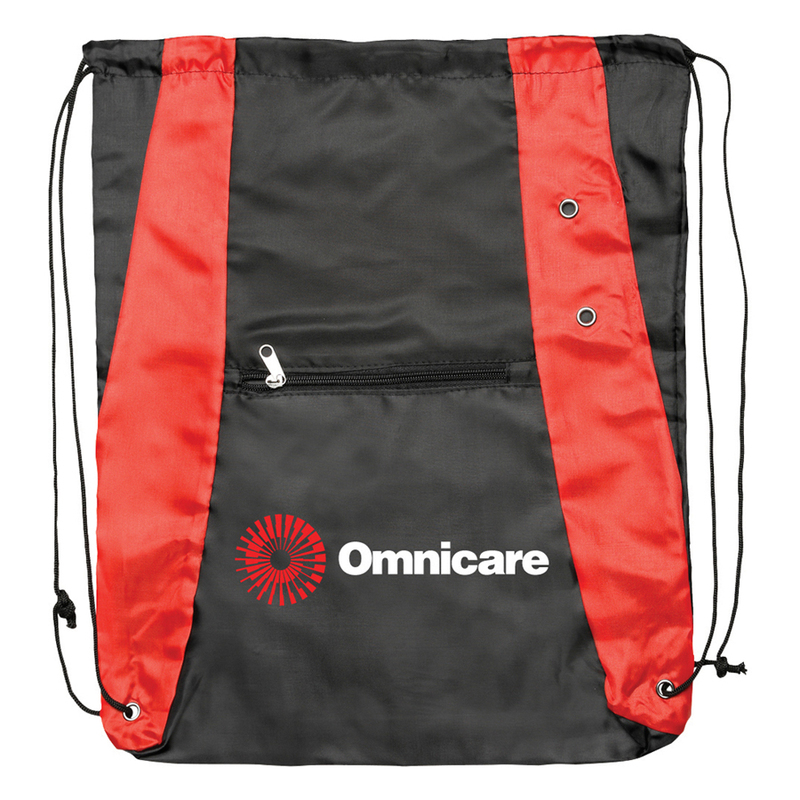 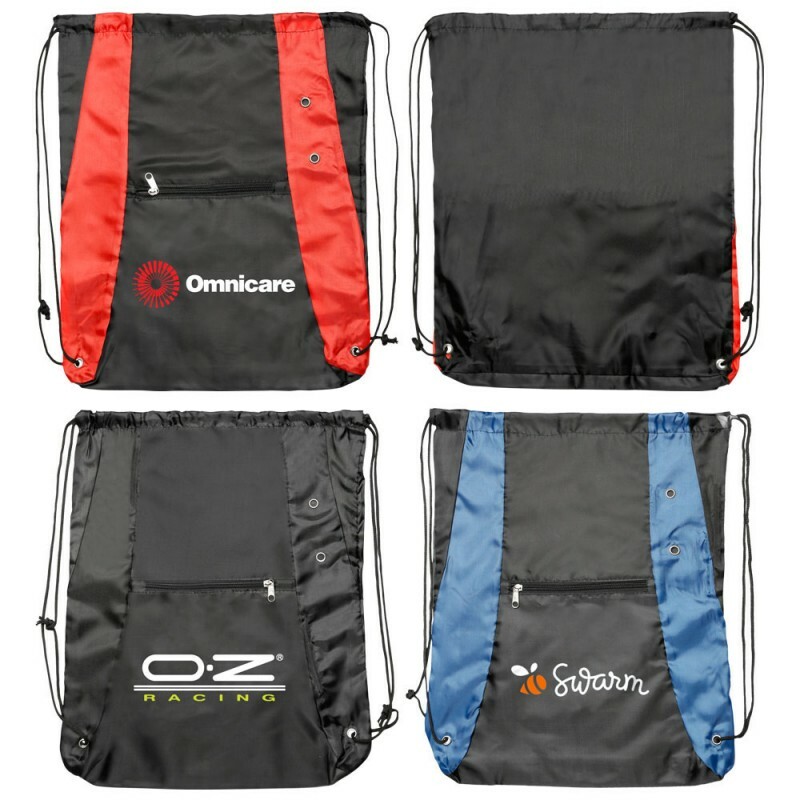 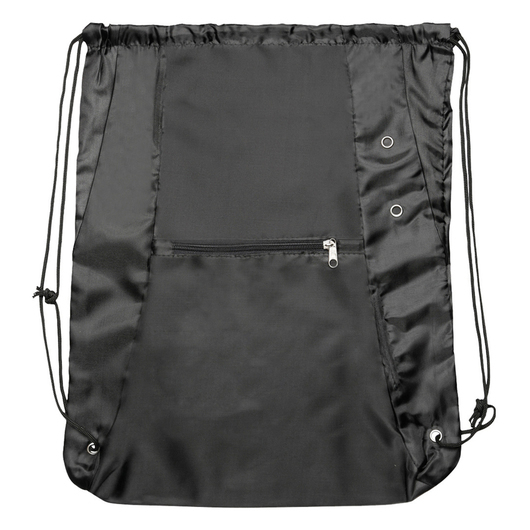 These are a quality versatile backsack that can be used for an extensive number of things. They're great for the gym, festivals and carrying books just to name a few. 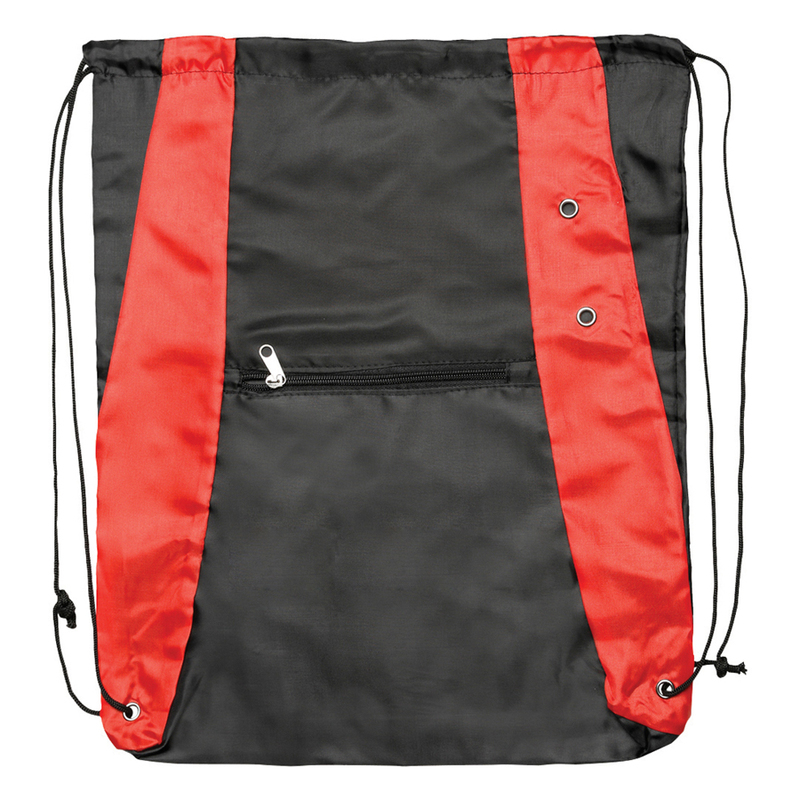 Made with 210 denier polyester material they have a large front zippered pocket and metal grommets for added strength.